The International Festival of Life at Union Park comes to the Near West Side this weekend. NEAR WEST SIDE — If you're not catching the fireworks Downtown, there's plenty to do in the neighborhood this Fourth of July weekend. From outdoor festivals to patriotic pup parades, here are our top picks of things to do and see in the West Loop, Pilsen and Near West Side. 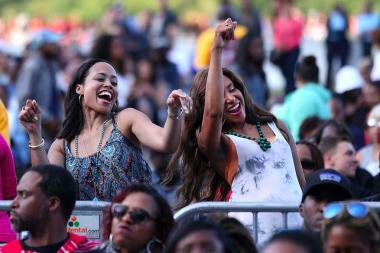 International Festival of Life at Union Park — The four-day fest, which is marking its 24th year in Chicago, celebrates the music, food and culture of the Caribbean, Africa, Latin America and the United States. Adult single-day pass $15-25, four-day pass $45-100, kids free. Noon-10 p.m. Friday-Monday, Union Park, 1501 W. Randolph St., Near West Side. Patriotic Pup Parade — Neighbors are invited to dress their dogs in their patriotic best for a dog parade kicking off at University Commons. The event will include a photo op, best-dressed doggie contest and prizes. Meet at 9:50 a.m. Sunday at University Commons Management Office, 1070 W. 15th St., University Village.